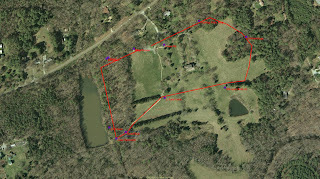 Trading Path Association's October 2011 First Sunday Hike will be at Ayr Mount, a private historic site east of Hillsborough, NC. "Ayr Mount" is a nineteenth century brick structure preserved and restored with a goodly part of the grounds immediate to the structure protected as well. We are interested in Ayr Mount, not because of the house or its plantation airs, but rather because before it was Ayr Mount it had another, and from our perspective, far more interesting history altogether. We'll look at some of the remnants of that earlier history during our hike. The site of Ayr Mount had a lengthy, though obscure, history when Ayr Mount came into being. This isn't surprising given the quality of the site. It sits on a well drained knoll, above a river and alongside a good mill stream. It also sat astride one of the primary road channels East of what became Hillsborough. It was a potentially valuable holding for whomever owned it. The earliest actual record we have of certain occupation and use of the land is a map drawn in 1768. That map shows a farmstead alongside a road. 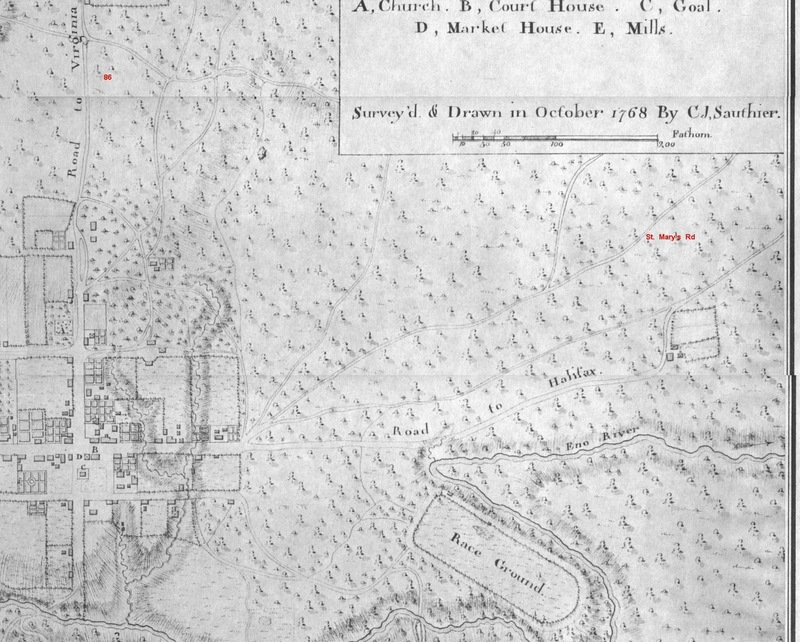 It is possible that when the map was made that farmstead belonged to a Quaker family named Few. If it was, by the middle of 1771 there wasn't much left of the farmstead as the Governor's troops trashed the Few farm at Hillsborough in retaliation for Quaker support of an insurrection, or so the authorities said. For a reprise of Ayr Mount's ownership record see Steve Rankin's excellent work. Near the site, and probably part of the original land holding is land known locally as 100 Acre Field. Ayr Mount's owners used it as cattle pasturage. They would trail cows and other cattle out from the barns and stock pens near the main house and these trail drives have some local memory. It is a short distance but it is a safe bet that young folks earned a little something by helping keep the stock together during the move. This field earlier is likely to have served Governor Tryon, Lord Cornallis, and possibly General Greene as a military camp ground before and during the American Revolution. 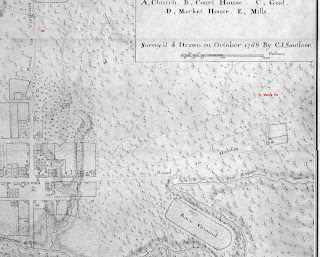 The roads in use in 1768 are still visible on the ground on and around Ayr Mount. 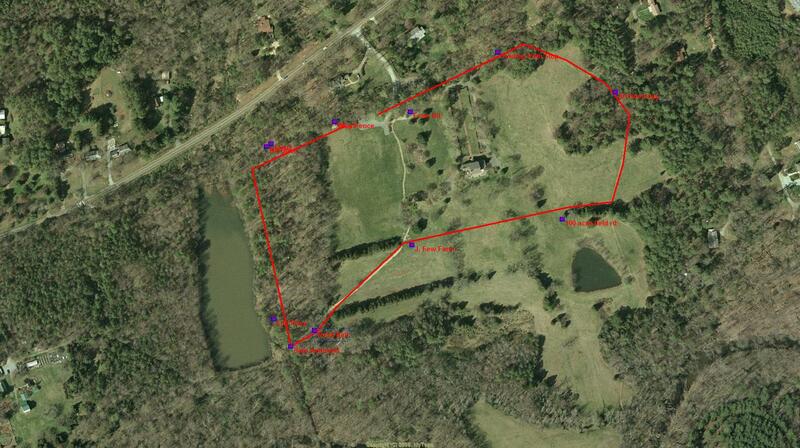 We will walk the red line on Sunday and try to determine where the old farmstead once sat. We will see a roadbed cut twelve feet deep on one side of the property, and we'll see an even older road on another side of the property. Along the creek we will see a "race" probably associated with a shingle mill the creek once powered, and we'll see remnants of an earlier dam exposed recently by flooding. Every time we visit this site we find something new, so we will be keeping an eye out to improve what we know about the place before it became a "Ayr Mount."